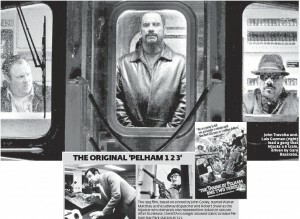 The New York Post published an article today that tells how much of the new movie “The Taking of Pelham 1 2 3” was filmed in real New York City subway tunnels, in real New York City subway stations, and on real New York City subway cars, and that’s what the director demanded. I’m glad he decided ot do the right thing! And what makes the movie unique is that the production took great pains to make this New York story as authentically New York as possible, including traipsing through dusty subway tunnels, trying to film in crowded Grand Central and risking death from the ever-humming third rail. Much of the action takes place down in the dark, rat-infested tunnels beneath the city streets, and when director Tony Scott signed on for the project, he had one demand: that as much as possible, it would be shot in the actual subway system. Most of the subway scenes were filmed on a stretch of abandoned track off Brooklyn’s Hoyt-Schermerhorn station, along which the HH shuttle used to run. (Service was discontinued in 1946.) Those particular tracks were unused, but the location gave the filmmaker’s the advantage of having active A, C and G trains passing along the neighboring tracks, giving scenes a realistic feel. 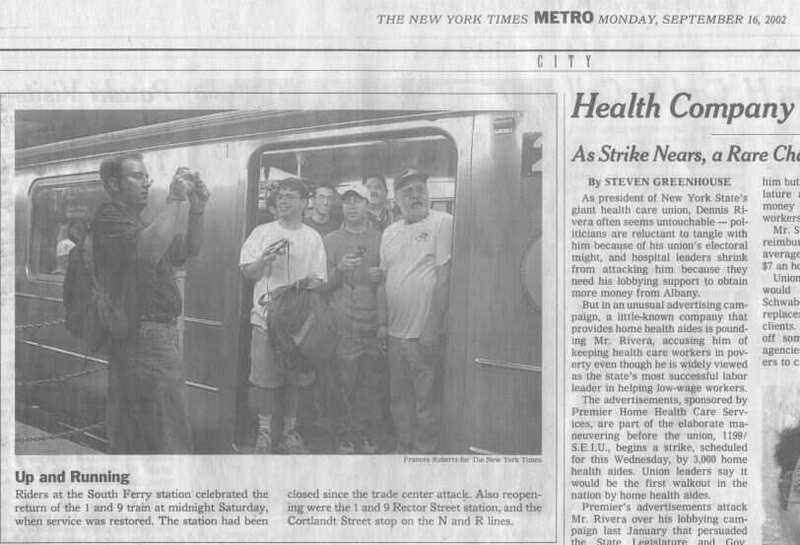 To make sure no accidents happened, everyone involved with the production (some 400 people, including a high-up executive at Sony) was forced to enroll in an eight-hour NYC Transit safety course. 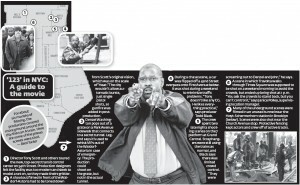 The group took a classroom lesson at the NYC Transit Learning Center in Gravesend, then strapped on regulation boots and safety vests, grabbed flashlights and headed down onto the tracks from a Brooklyn R station. Because there’s only so much space in an actual subway car — as anyone who’s been smashed up against a weird, sweaty guy during rush hour can attest — the production built a fake car on a stage at Kaufman Astoria Studios. It was made from scratch using pieces of decommissioned subway cars and powered by hydraulics, so it could zip along a 40-foot section of track. 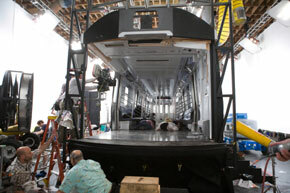 In truth, much more of the film would have had to been shot on sound stages had NYC Transit not consented to allow the crew access to the subway. The agency has turned down requests before for many reasons, including when a plot is considered too sensitive because it involves destruction or terrorism.